This years installment of Pro Evolution Soccer has a lot riding on it especially on the new formats in particular the Xbox 360, after last years shambolic first next gen outing. Last years Xbox 360 effort was feature light and felt rushed. So can this years outing, the first proper outing for the now current gen of machines prove to be any better? 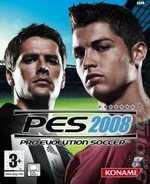 First off Konami and Pro Evo’s development king pin Seabass have made it known that the lead format for this version of the game was the PS3 but that there is no difference in code between the two machines versions. So if you have been reading elsewhere about the PS3 versions somewhat major frame rate issues fear not the 360’s version does not suffer anywhere near the same amount problems, in fact the only slow down in frame rate I have seen is during the replays which can sometimes resemble slide shows as they judder about. Now back to last years missing features; back in is the ability to save your replays so when you score the 30 yard pile driver or acrobatic overhead kick they can be saved for posterity and gloating. Also back is the edit mode and although not as in depth as in previous versions its good to see it back so you can correct all those odd club and player names where Konami could not obtain the necessary license. Also the number of stadiums has been greatly increased to 15 which is still some way short of last years PS2 effort but an improvement all the same. Graphically the game is good without being excellent and some of the player likeness’s are spot on. The animation is super smooth and the additional moves and frames added really help the gameplay. Sound wise there’s the ever tiresome menu music which can thankfully be switched off. The commentary is the best so far for the series with it finally seeming to keeping pace with the on screen action even though you will have heard it all and get bored with it after 3 or 4 games (plus I hate Mark Lawrenson his voice is just so annoying!). The gameplay has been tweeked and now is silky smooth and the players seem to be more in control of the ball. The shooting is much more intuitive compared to last years effort. You can again now latch on to that pinpoint through ball and slot the ball casually into the corner past the on rushing Goalkeeper where as in last years effort more often than not you would spoon it over the bar. This year its all about the passing with quick, pinpoint passes all finding their home much easier and less stray passes going amiss. The much vaunted new adaptive AI system”Teamvision” also works a treat and you can feel and see the changes being made to the oppositions tactics in response to your style of play. Substitutions and tactical changes being made against you really affect the gameplay as the computer tries to regain the upper hand. They have also added a new dive move which is a long overdue addition but unlike in real life most of the time you get a yellow card for your worries. 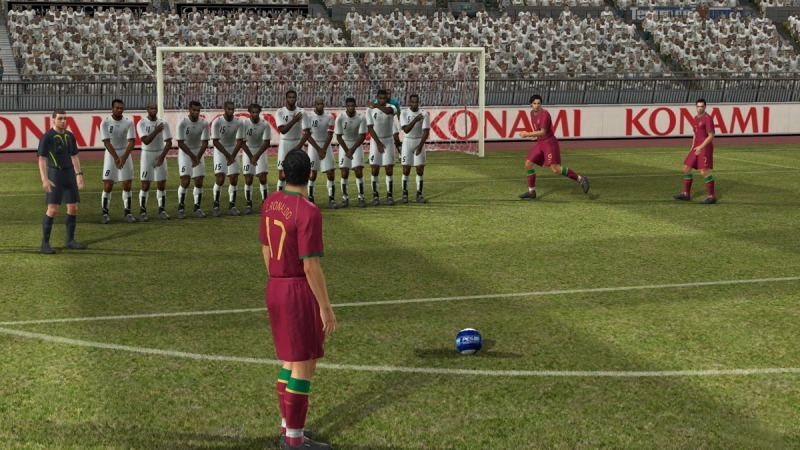 Pro Evo 2008 has the usual wealth of game modes with Cup, League, Exhibition, Master League and Xbox Live. Cup and League remain the same, as does the Master League which is a career style game where you take control of a team of your choice with a bunch of total nobody’s slowly but surely building them up to your very own personal dream team. The only addition to this mode is a new popularity feature where your team and players are rated on their populairty which is gained by winning and performing well in games. The more popular your club and players are the more other teams players will want to join your club. Now, onto Xbox Live multiplayer which is as feature light as last years entry with only one on one games catered for and the usual rankings lists split into divisions. This lack of features would almost be forgivable if the games were of a decent standard, but every online game I have played so far has been a laggy mess totally spoiling any enjoyment. I for one will not be playing online again until its been patched (Konami have already acknowledged the problem and have said an update is on its way). 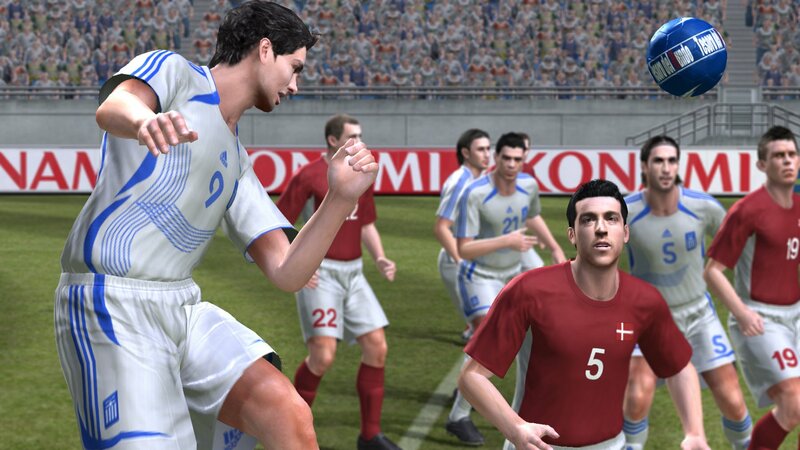 All in all Pro Evo 2008 is a very good game but falls just slightly short of its usual uber excellence. It is still the definitive football game available but when there is only FIFA in opposition, that isn’t too difficult. No other game encapsulates what football is all about like Pro Evo, causing the same passion and arguments as its real life counterpart. So come on Drew pull your finger out and get this game so I can kick your arse or at least get very annoyed trying to. Moonhead, you know as well as I do that when I do get this game, you had better get out “Moonheads compendium of crap excuses.” as I will kick your arse all over the place! Yeah, yeah Drew heard it all before so you had better bring it on. rubbish on xbox live, amazing offline. sort it out quick konami!!!!!!!!!!!!!!!!!!!!!!!!!!! !